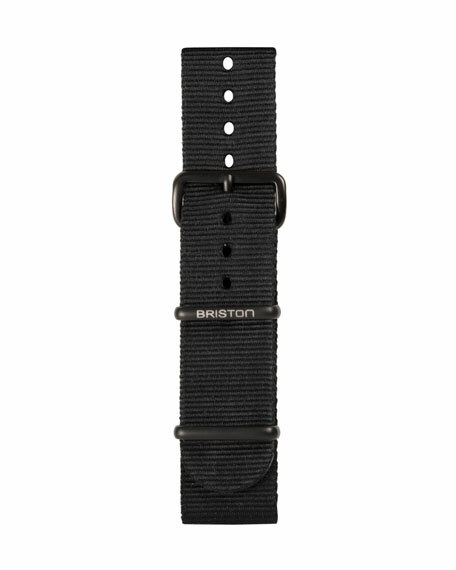 Briston NATO adjustable watch strap in solid black. Interchangeable with Briston watch heads (sold separately). Matte black PVD stainless steel thorn buckle and strap retainers. Approx. 280mm x 20mm (11"L x 0.8"W). For in-store inquiries, use sku #2341612. 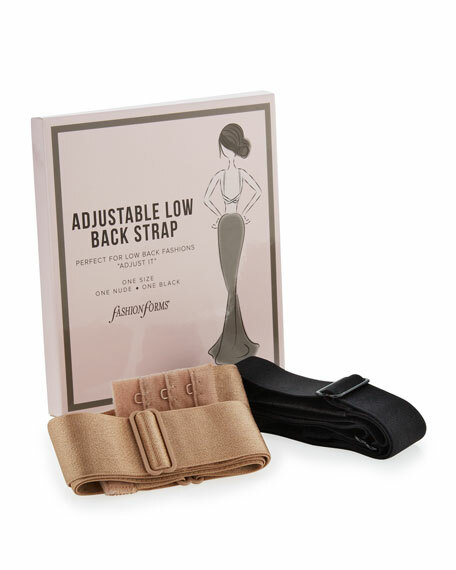 Fashion Forms low-back bra strap. Convert any bra closure to low-cut "V" back. Adjustable strap for comfort. Nylon/spandex. Imported. White alligator. 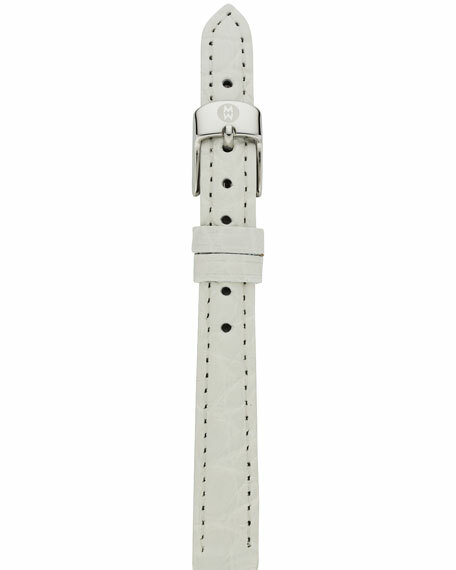 Stainless steel buckle with signature "MW" logo. 12mm. Imported.